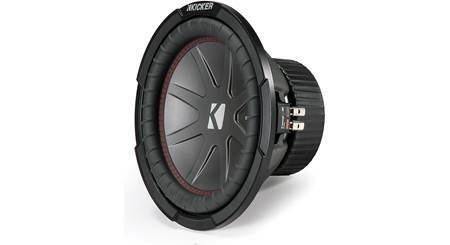 Kicker designed their CompR subs for people who love to hear strong bass in their music. 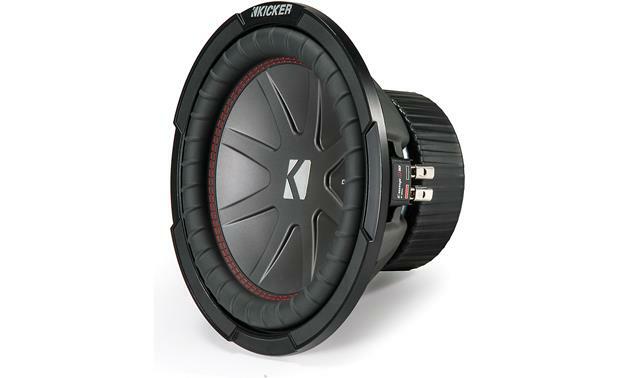 Kicker designed their CompR subs for people who love to hear strong bass in their music. 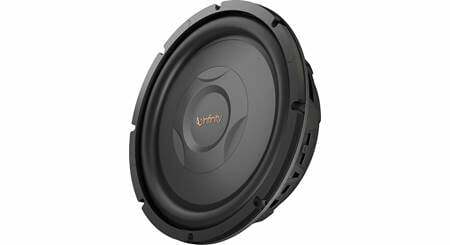 The CompR 43CWR102 10” subwoofer comes equipped with a tough, polypropylene cone that stays rigid during intense play sessions so you hear accurate bass. A custom-designed back and top plate give the woofer plenty of room to travel, while the durable rubber surround helps to control cone movement during a heavy workout. This sub uses extensive venting in its heavy steel basket to shrug off heat, so you can count on reliable performance. 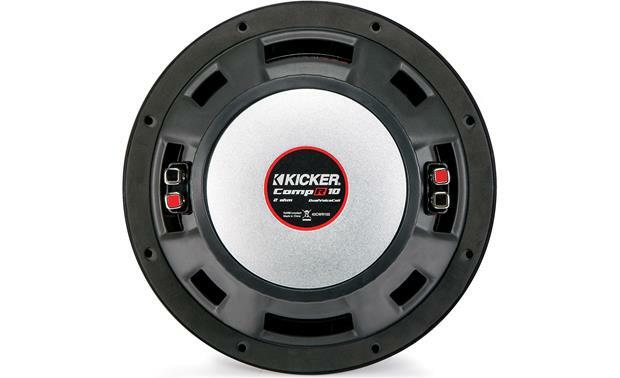 This Kicker CompR sub will handle up to 400 watts RMS so make sure you have an amplifier that'll do it justice. Its dual 2-ohm voice coils give you more wiring options when setting up your system, and this versatile sub works well in sealed or ported enclosures. 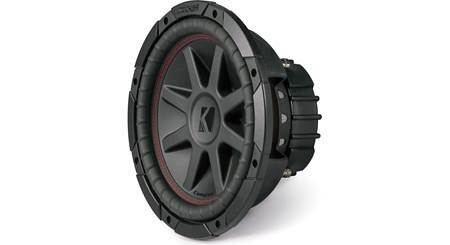 To drive this single subwoofer, we recommend a mono amplifier rated between 300 and 600 watts RMS at 1 or 4 ohms. For more information, please refer to our article on How to Match Subwoofers and Amplifiers. sealed box volume: .80 - 3.0 cu. 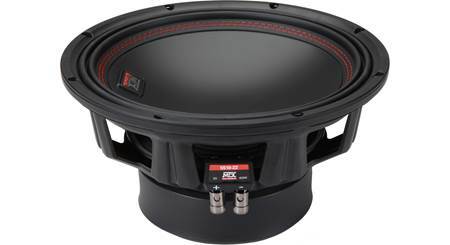 ft.
Dual Voice Coils: This woofer features dual 2Ω voice coils, offering wiring flexibility. When the voice coils are wired in parallel, the woofer presents a 1Ω load. When the voice coils are wired in series, the woofer presents a 4Ω load. Sealed Enclosures: Sealed enclosures provide the most control over a woofer and provide accurate sonic reproduction, making them suitable to all types of music. Kicker recommends sealed enclosures from 0.8 ft³ to 1.25 ft³. Note: Although some are smaller than optimal, the prefabricated enclosures we list on the accessory page produce good results. I'm looking to run two of these in an enclosed box powered by a 820w pioneer amp. Will the 2ohm vs 4ohm make a difference? 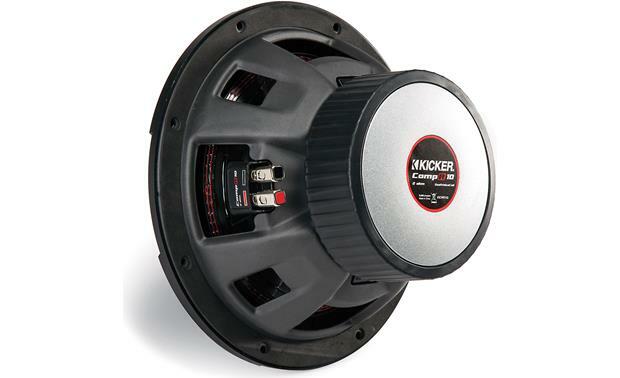 Searches related to the Kicker 43CWR102 CompR Series 10" subwoofer with dual 2-ohm voice coils.